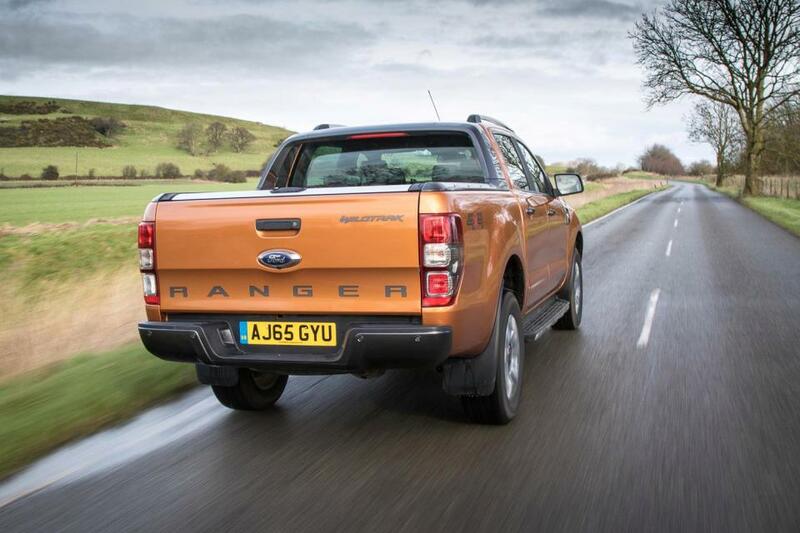 There are fewer one-tonne pick-ups tougher, more rugged and thoroughly proven than the Ford Ranger. It is available here in basic, cab-only commercial trim or as classier, more upmarket four-door twin-cab models that amalgamate both business and lifestyle needs. Produced since 2011 and now in its third generation, the current Ford Ranger arrived on our shores in 2016, having undergone a raft of design and engineering improvements conducted by Ford Australia. The present-day Ranger continues to cross swords in a very busy commercial vehicle ampetheatre with the likes of the Toyota Hilux, Nissan Navara, VW Amarok and the Isuzu D-Max, to name just a few. Ford family influences from the Edge and Kuga SUVs made their way onto the refreshed Ranger, most noticeable in the new 'family' grille. The interior was redesigned and the top models received the latest Ford infotainment and navigation systems. 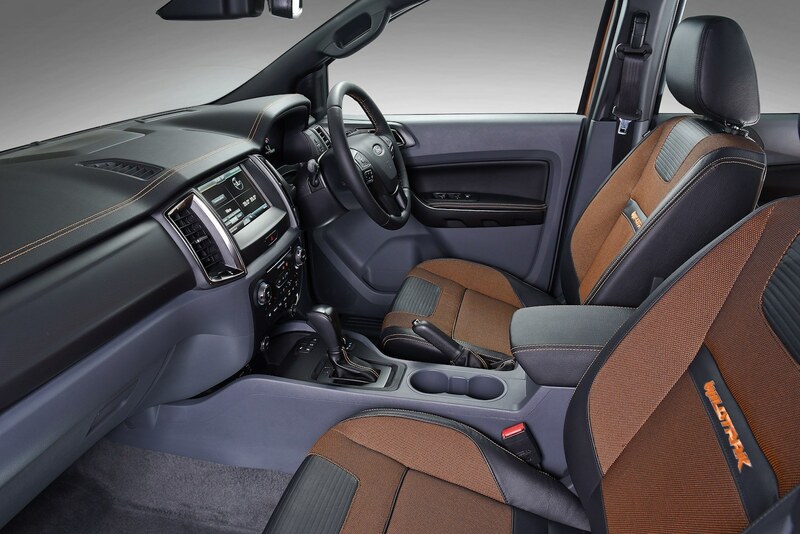 To retain the Ranger's strong appeal to a wider audience, the three former body configurations continued to be available: a two-door range-entry Regular Cab and the Super Cab which deploys rear-hinged doors to access a cosy second row of seating – both are aimed at commecial users. 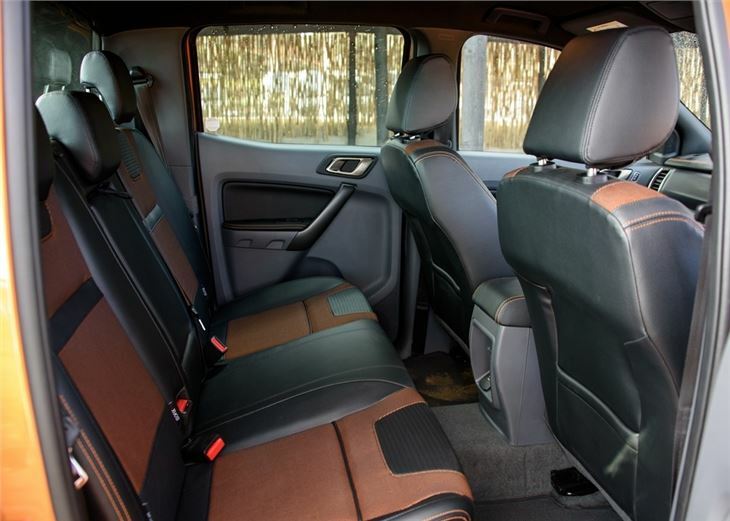 The more popular and spacious Double Cab also remained and is intended for a more dual purpose role as a hard-working business vehicle during the week and practical family transport for the weekend. By their very nature, pick-ups are designed and built as work-a-day utilitarian vehicles and the Ford Ranger is no different. With the focus more on longevity, durability and practicality, there are little if any of the more attractive materials used in the marque's SUV range of cars. The range of driver seat adjustment is good and permits the finding of a good driving position but the seats could do with more side bolstering especially when going off-road. 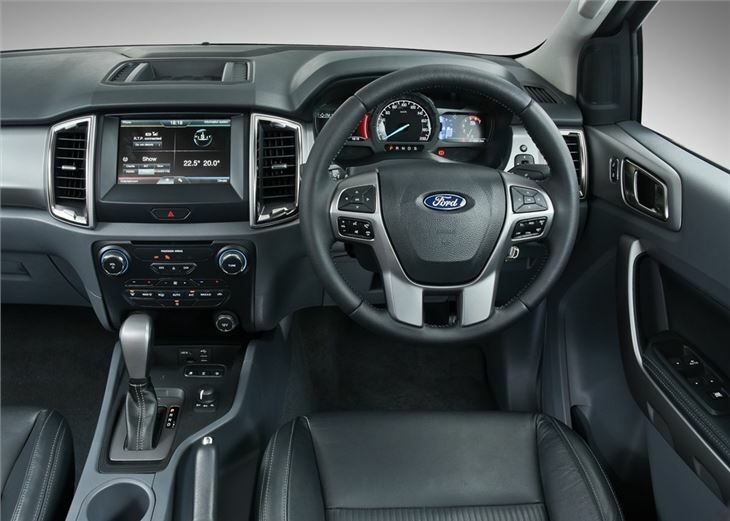 The same of buttons and switches from Ford's passenger car range are found on the Ranger's dashboard and all feel good and are easy to use. There's also a digital instrument cluster which displays a variety of driver-oriented information. 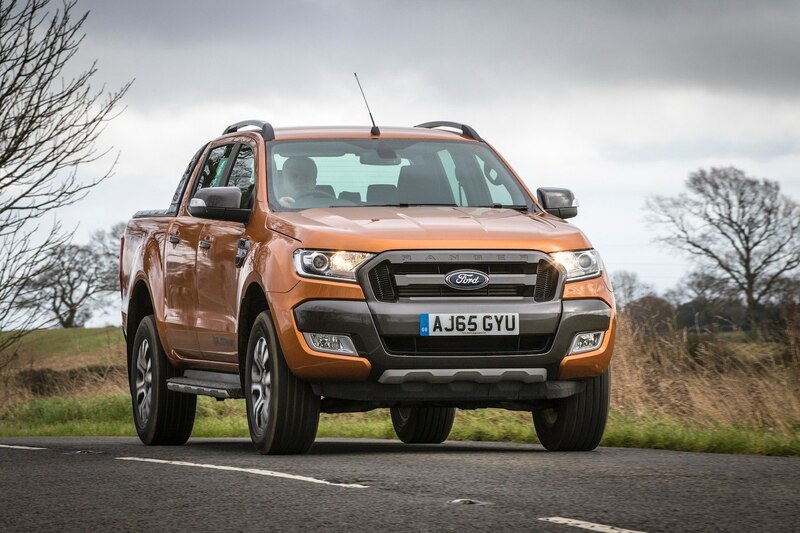 There are six trim levels available for the current Ford Ranger and the range walk-up starts with the XL, progressing to the XLT, Limited, Wildtrak, Wildtrak X and Black Edition. Unsurprisingly, all models enjoy a raft of stability and grip enhancing systems such as hill decent control, hill start assist and trailer-sway control. Compared to Ford's passenger cars, the basic Ranger XL has a curtailed list of kit, but it's not all doom and gloom as there's Ford's clever EasyFuel system, electric mirrors, Bluetooth, a height adjustable driver's seat, tinted glass and oddly, a heated windscreen. The XLT model adds goodies such as cruise control, air-conditioning, alloy wheels, automatic wipers, a load-bed liner and an upgraded stereo with a 4.2-inch touchscreen and voice control. Heading up towards the more luxury end of the Ranger scale, the Limited model offers dual-zone air-conditioning, rear parking sensors, power-operated leather seats and Ford's SYNC 2 infotainment system with an 8-inch colour screen and is distinguished outside by privacy glass and chrome rear bumpers. The visually distinctive Wildtrak model adds roof rails, 18-inch alloy wheels, a rear parking camera and navigation, but comes only with the 3.2-litre engine. With no petrol in the current Ranger engine line-up, Ford has chosen instead to offer two turbocharged diesel engines – a four-cylinder 2.2-litre and a five-cylinder 3.2-litre. Most buyers opt for the more practical 2.2-litre power plant as – in addition to being more attractive from a business perspective – it offers plenty of power (158bhp) and torque (000Nm). As such, it is pretty adept at towing and even better if you choose the lower axle ratio option. A six-speed manual gearbox is standard across all Ford Rangers. It has a pleasantly short and accurate action. If doing your own thing doesn't appeal, higher-specification Rangers models can be ordered with a six-speed automatic which, while entirely competent, is a tad thirsty. Those who opt for the 2.2-litre versions have a choice of two- or four-wheel drive, while all 3.2-litre models come with four-wheel drive as standard. With just a twist of the dial, drive modes can be switched on the fly up to moderate speeds. Depending on your business or lifestyle requirements, there's no getting away from having to compromise on either passenger space or load capacity when choosing a pick-up. The conventional Regular Cab may only have two doors and two seats, but it offers an expansive 2.3-metre-long load bed with a maximum capacity of 1,300kg, depending on your engine choice. The larger and more popular four-door, five-seat Double Cab offers more space for passengers, but reduces load-bed length to 1.5 metres and payload to a maximum of 1,220kg. 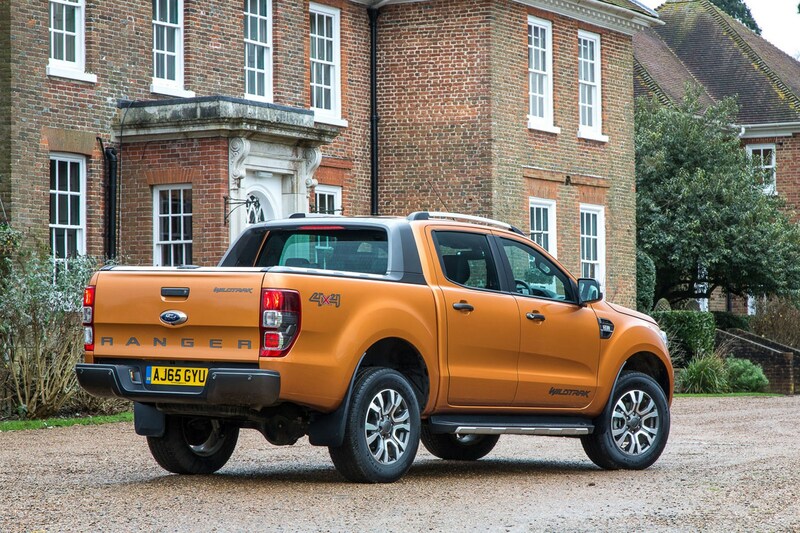 During Euro NCAP safety testing in 2012, the Ford Ranger was the first pickup to achieve the maximum five-star rating. Admittedly, the testing procedure was less stringent back then, but nonetheless the Ranger holds an excellent 96% score for adult occupant protection and an equally notable 86% rating for child occupant protection. 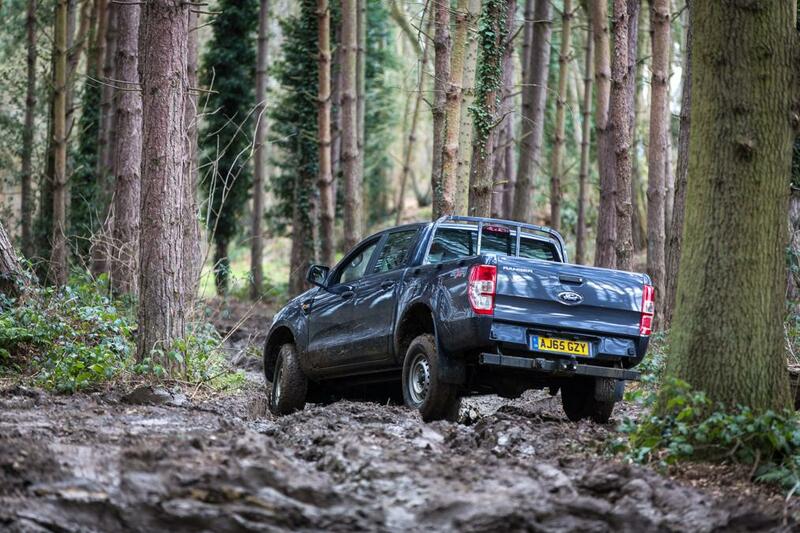 By comparison, the Isuzu D-Max, Mitsubishi L200 and Nissan Navara all currently hold four stars. Standard safety kit includes seven airbags and electronic stability control, while Double Cab models also get childproof rear door locks and ISOFIX child-seat mounts. All models are fitted with tyre-pressure monitoring with the exception of the entry-level XL model where it's an optional extra. Despite what the marketing men – and a few of my peers – will have you believe, the Ford Ranger does not drive like a car. It does, however, drive and steer very well and is one of the best vehicles of its type to drive. But, like any pick-up, the Ranger was designed and built with load-carrying in mind, so it will always offer a compromise in driving dynamics. That said the Ranger is jolly good fun to drive along a country lane, although it does tend to pitch and lean in quicker corners, with a slightly unsettled feel that rightly discourages drivers from being too enthusiastic. On a roundabout test (where throttle is very gently applied while circling it until the front exhibits understeer or the rear begins to step out), grip levels were found to be exceptional. Four-wheel-drive versions are highly capable off-road, with technology to make driving down steep slopes safer. Impressively, most four-wheel-drive models allow you to switch between two and four-wheel drive by turning a dial on the centre console. There's a low-range option for extra off-road prowess or if you intend to make use of the 800mm wading depth. It's a testament to the growth experienced in the pick-up sector over recent years that it's not only builders and workmen who love a good pick-up. The Ford Ranger is one of a growing band of sturdy models that combine pickup toughness with a touch of luxury – yet still undercut similarly sized SUVs in terms of price. 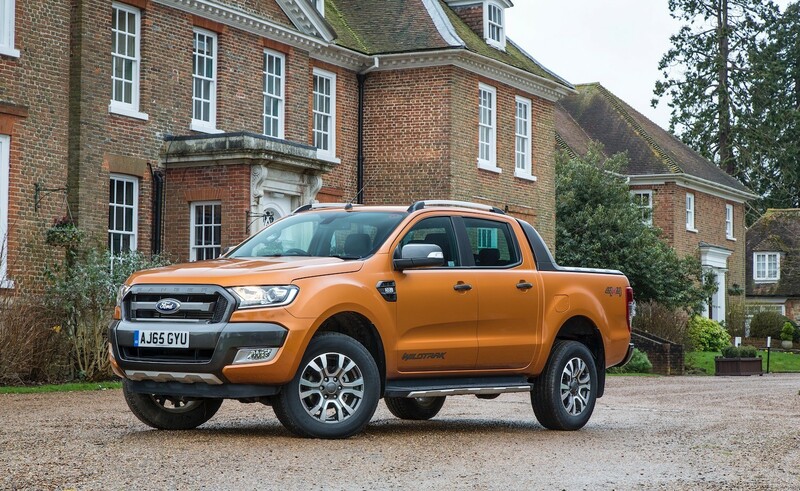 The Ford Ranger's credentials as a workhorse are unquestionable – especially when you factor in the 2016 updates - but it does suffer from a lack of refinement when compared to the VW Amarok or the Nissan Navara. 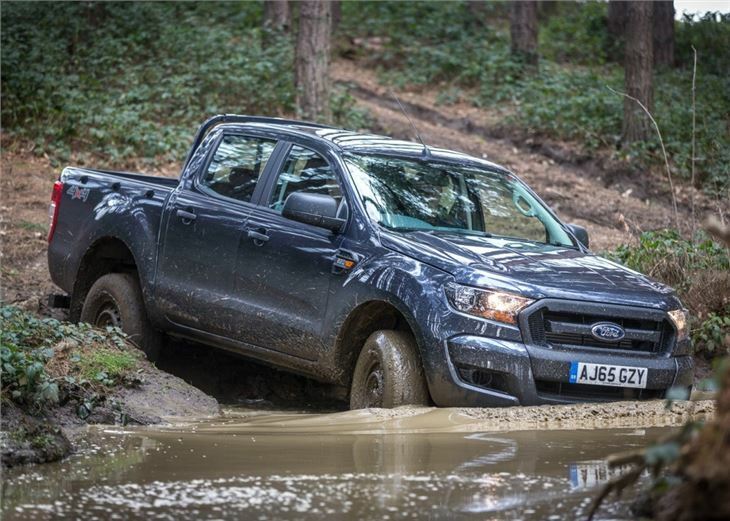 However, if at the end of the day you want a heavy duty workhorse, capable of cutting it off-road and moving big loads, few pick-ups come close to matching the Ranger. 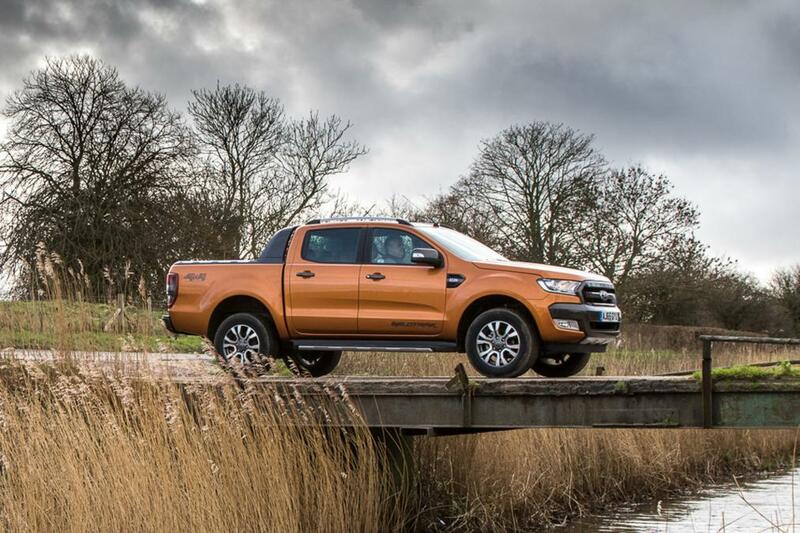 ➤ Check out our special offers on the current Ford Ranger here, then call our award-winning Customer Service Team on 0800 043 2050.